Price of Peace Parish of Norton/Barberton is a historic building located in Barberton, OH. This photo was sent in by AS. He writes: "The urinals of Prince of Peace Parish of Norton/Barberton (Ohio). 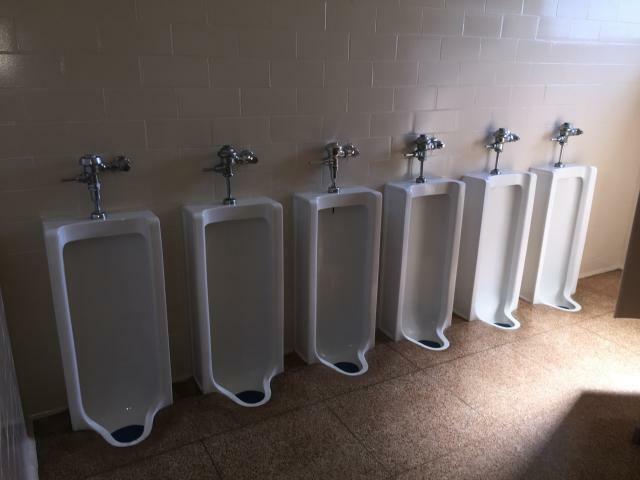 These urinals are found inside the historic Prince of Peace Catholic School (no longer taking students) in the religious complex at 1263 Shannon Ave., Barberton, OH."